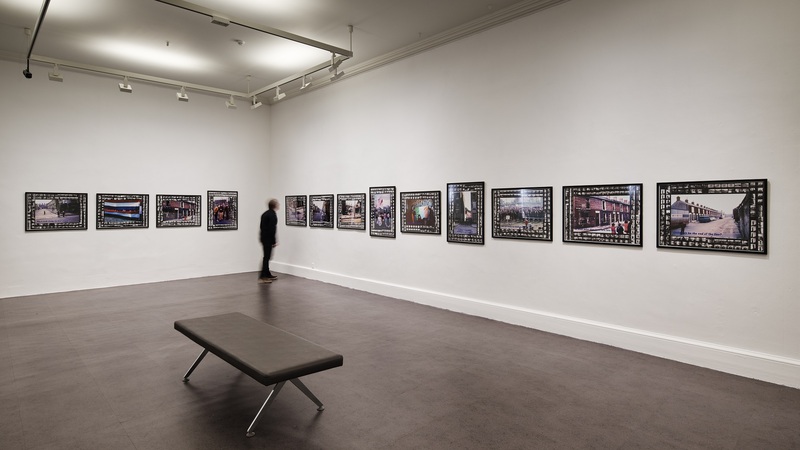 Les Levine, regarded as the founder of Media art, has made 13 new photographic works of children during the conflict in Northern Ireland. 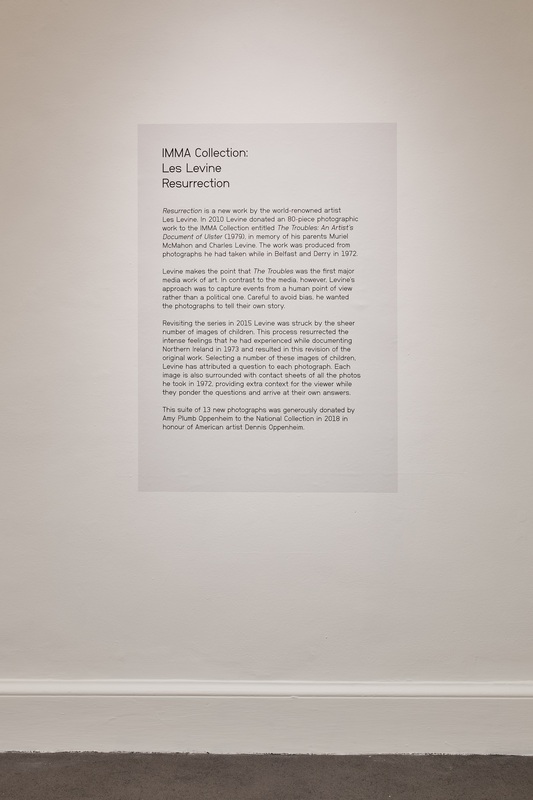 Entitled Resurrection, 1972-2016, this work has been recently donated to the IMMA Collection. Resurrection (1972-2016) is a new work by the world renowned artist Les Levine. In 2010 Levine donated an 80-piece photographic work to the IMMA Collection entitled The Troubles: An Artist’s Document of Ulster (1979), in memory of his parents Muriel McMahon and Charles Levine. The work was produced from photographs he had taken while in Belfast and Derry in 1972. Levine makes the point that The Troubles was the first major media work of art. In contrast to the media, however, Levine’s approach was to capture events from a human point of view rather than a political one. Careful to avoid bias, he wanted the photographs to tell their own story. 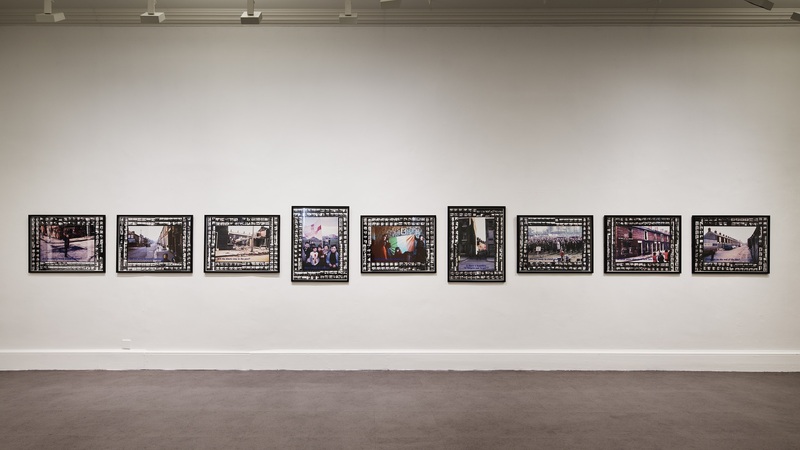 Revisiting the series in 2015 Levine was struck by the sheer number of images of children. 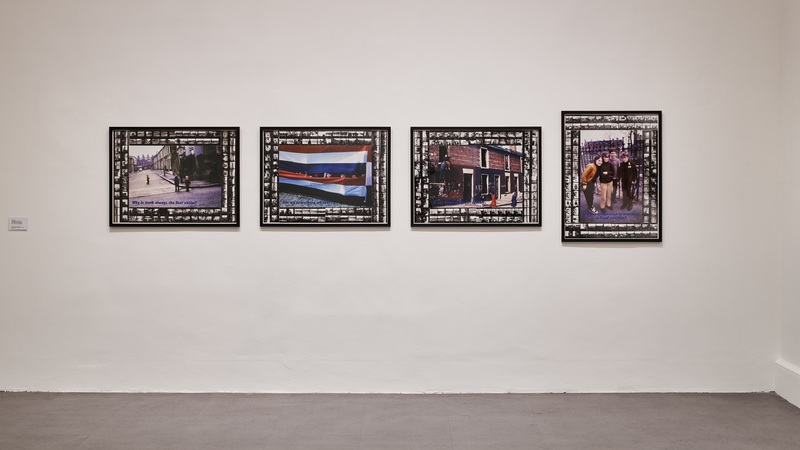 This process resurrected the intense feelings that he had experienced while documenting Northern Ireland in 1973, and resulted in this revision of the original work. Selecting a number of these images of children, Levine has attributed a question to each photograph. 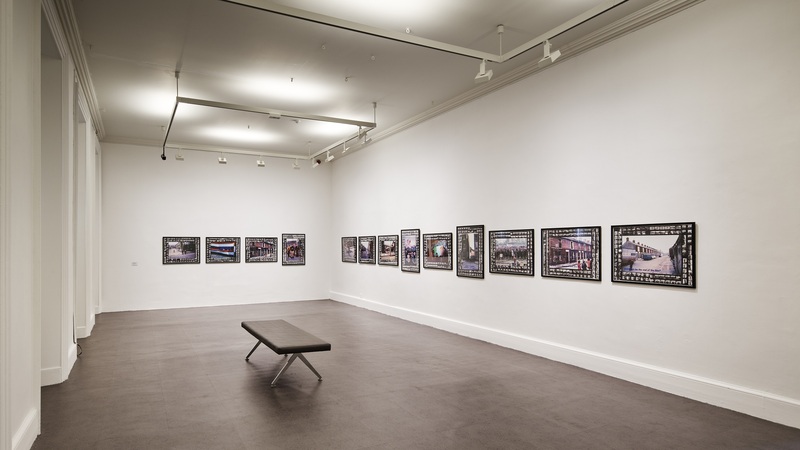 Each image is also surrounded with contact sheets of all the photos he took in 1972, providing extra context for the viewer while they ponder the questions and arrive at their own answers.